The City of Charlottesville’s Preservation Planner, Mary Joy Scala, is a miracle in action. She makes things happen, sees something else that needs doing, makes that happen. Never pauses to say “hey, look what I did”. She just is out there, working. 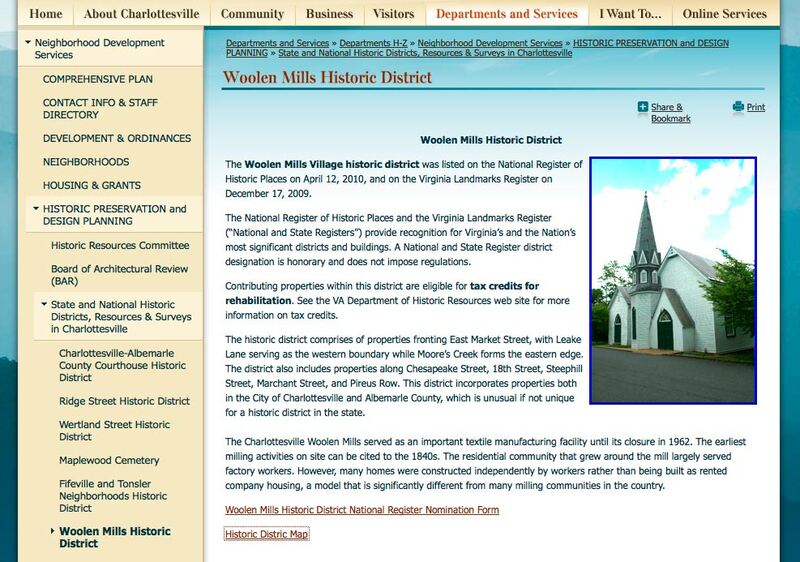 Bumped into some of her work today, a listing on the City’s website about the Woolen Mills Village National Historic District. This entry was posted in Woolen Mill by WmX. Bookmark the permalink.